​The input of the energy supplier for airplanes and helicopter is 3 phase full sinus wave & perfect DC output and ground power unit supplies 400Hz energy for the aircrafts. The air vehicle ground power unit is produced IP43 Protection for outdoor usage. Thanks to high technological IPM (Intelligent Power Module and IGBT that we produce gpu for aviation. Technology high performance and high reliability. 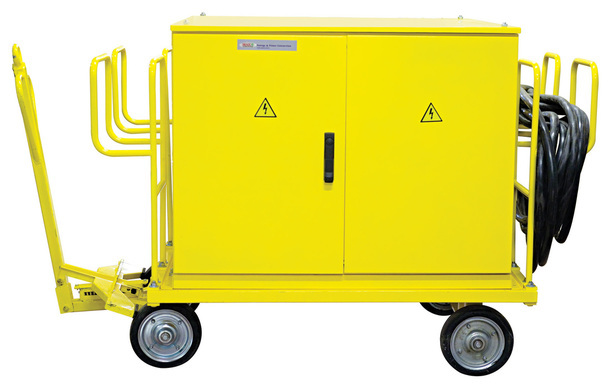 The aircraft ground energy unit 400 Hz is there for your needs for the solutions that you have in airports. The reason that you need the ground energy solutions gpu for aviation are simple and easy to control all power on your planes or helicopters. Our vision is to support you for the 400 Hz needs and 28 Volt needs in one cabinet two power supply, so that you can control all your energy easily and fast. The time is important in aviation industry we know that is serious for aviation industry. You need sustainable energy, you need power, you need electricity for your next flight. The reason that you need the energy is simple fast and controllable. Ground power units are developped for our clients especially in airports. We as Mak Plus Power Systems produce aircraft ground power units gpu 400Hz 28 V DC in Germany for aircrafts and air vehicles. The 400 Hz air vehicles energy units are produced to start helicopters and planes and used in airports with protection of IP33 class or more in Germany for your usage also with carriage system. The air vehicles, planes and helicopters needed ground power unit as frequency converter 400Hz and the power supply is designed with different power ranges starts from 30 kVA and 28V DC 100Amper in Germany. The aircraft power unit is also produced as 40 kVA, 50 kVA, 60 kVA, 80 kVA and higher power ranges as well. As mak plus power systems we produce the air vehicle power unit not only IP33 till IP55 water isolated also with wheels to carry easily in airport for the helicopters and planes. The ground power unit 400Hz solution for planes and helicopters are produced robust and designed to be used minimum 10 years life time without problem by small technical maintenance. We produce our solutions also with air conditoner if needed for your ground power unit. The ground power unit is simply to support air planes, planes, helicopters and radar systems. The standard production for our ground power units are high efficient and robust for usage of the hard areas like airports and all around the world.